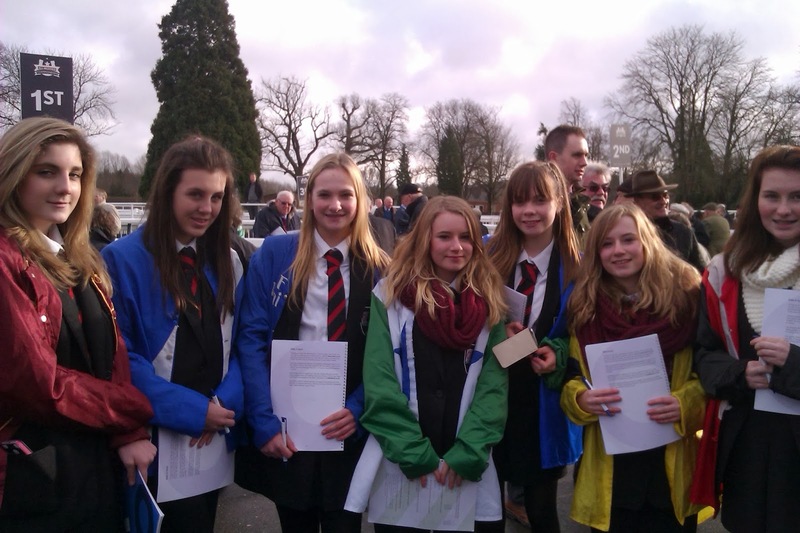 14 Year 9 students visited Lingfield Racecourse on Wednesday 22nd January for a Numeracy Day run by ‘Racing to School’. Students were treated to a behind the scenes look at the preparations made by a racecourse on a race day – applying their mathematical skills in the parade ring and weighing room where they met Frankie Detori! Students were taught how to read a racecard and watched the first two races; the racecourse asked them to present the prize to the second race winner too! The school has launched its own state-of-the-art recording studios, thanks to the passion and hard work of Mr Donaldson, Head of Performing Arts, along with some generous donations and enthusiastic volunteers. The Woking Studios were up and running at The Winston Churchill School on Monday evening, complementing the recently launched Woking Radio station next door. 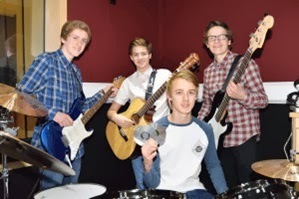 While Year 10 band The Locals – Jamie Goodall on lead guitar, Tom Howard on bass, and Tom Gortler on vocals and acoustic guitar – tuned up to make the debut recording, Callum Marsland inaugurated the new drum kit, donated by the EMI Foundation. The music centre’s corridors are adorned with funky graphics by Ian Wilson of the Digital Factory on the Lansbury Estate. They were the brainchild of the school’s Head of Performing Arts, Simon Donaldson. When not teaching drama or working on forthcoming show The Sound of Music, he sourced funds and organised the project. Anyone who wants to reserve recording studio time can email s.pohlman@wcsc.org.uk. The year 7 students organised a week of fund raising events before the end of term with stalls ranging from popcorn to guess the location of the treasure, name the teddy bear, candyfloss, etc. Only year 7 students were involved and they raised a total of£500 for the Friends of Freemantle. The idea was put forward by one of the year 7 students who's mother has connections with Freemantles. Friends of Fremantles raises money for Freemantles School, in Mayford, which is a school for children and young people with Autism. FofF is run by a group of parents of the children who go to Freemantles School. We try to raise money to support Freemantles School, to meet the costs of many things and activities that enhance our children’s education and to extend their opportunities in life. Autism is a life long developmental disability, which affects how a person communicates and relates to other people. It also affects how they make sense of the world around them. There is no cure for Autism, but there are special teaching techniques that can help them learn, such as Makaton (form of sign language) and PECS where students use picture cards and symbols to communicate, they like structure and routine to their day.